Many early lures in history were elaborate and ornate hook harnesses with a spinning blade of some description. Early English, French and USA lures were made by master jewellers so metal was the number one choice before 1900. Early plastic lures also appear around this time, celluloid lures and pyralin around 1930, stabilised plastics after 1936/7 and from then it was a 'plastic world'! 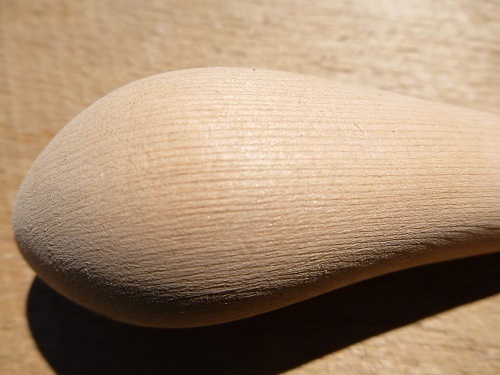 Basically a lure can made from any material but many lure makers select specific timbers so that they can manipulate the density of the timber and hence its buoyancy, thus creating resistance and action in water. Cedar was the number one choice for the big USA manufacturers with choice old growth cedar readily available up until approx 1950 when supply chains changed after WW2. By then some regulation of the timber cutting industry was beginning and future thinkers were setting aside old growth forests for future generations (World Heritage Areas). Following is a list of suitable timbers for luremaking with an emphasis on Australian native species. Different types of cedar are a timber associated with traditional lure making worldwide. Cedar (Cedrus) is a genus of coniferous trees in the plant family Pinaceae. They are most closely related to the Firs (Abies), sharing a very similar cone structure. Included are Thuja, Chamaecyparis and Juniperus because of their confusing common names and botanical similarity however they are not taxonomically true cedars. If you have ever smelled cedar or juniper wood, then you know the Cupressaceae family of plants. All members of the family are richly aromatic. Worldwide, there are 19 genera and 130 species. Western Red Cedar - Thuja plicata. A large tree attaining a height of 40 to 55 m and 1 to 3 m in stem diameter. Specimens have been recorded at over 65 m and 5 m in stem diameter. Western red cedar occurs in British Columbia, Canada and in the United States of America in Washington, Oregon, Idaho and Montana. It has the typical long tapering form of a North American conifer. The timber is readily available from imported timber sources. 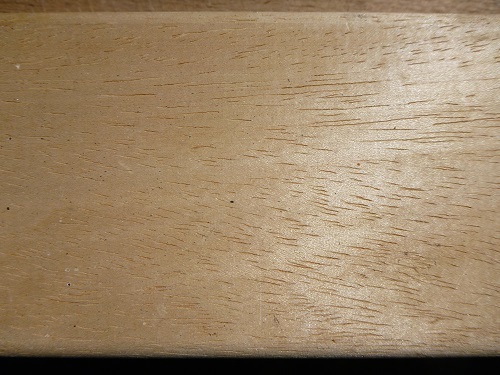 Above - An example of yellow cedar with massive grain variation and colour which may vary from a pale cream through shades of yellow to orange. 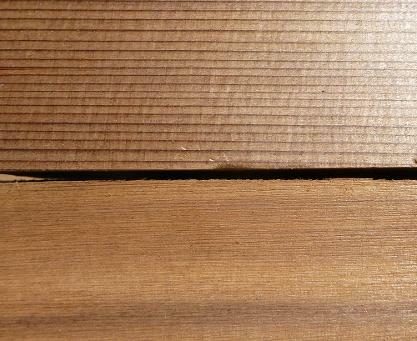 Left - comparison of quality of western red cedar. Bottom example is old growth timber that was recycled from old garden furniture compared to modern AAA grade plantation cedar. Tasmania's native conifers are highly susceptible to fire. In certain areas of the state, extensive stands of dead 'stags' give testimony to the ravages of previous fires. Some of the largest pure stands of pencil pine have been lost due to campfires which have escaped. Some species will never recover due to their very slow growth and poor seed dispersal abilities. One-third of the State's King Billy pines have been eliminated by fire. With this in mind these timbers should always be sourced ethically or recycled. Also called 'King Billy Pine' is an evergreen tree that grows to 30m and is a rare Tasmanian timber that is valued for boat building, guitar sound boards and making lures. It is probably one of the best carving timbers available and has a rich cedar smell with an aroma of pine. Weather resistant and easy to work, this timber is easy to seal and paint. A close relative of the King Billy pine, the pencil pine (Athrotaxis cupressoides), is generally restricted to sub-alpine areas above 800 m. Like its relative, it can reach ages greater than 1200 years. Pencil pines are often seen around the shores of highland lakes and tarns in Tasmania and are extremely susceptible to fire. Huon pine is one of the slowest-growing and longest living plants in the world. It can grow to an age of 3,000 years or more. Only the bristle-cone pine of North America lives longer. The tree is wholly protected and cannot be felled however, reclaimed Huon timber remains usable and is highly prized, not least because of its sweet aroma. Huon pine is one of the slowest-growing and longest living plants in the world. It can grow to an age of 5,000 years or more. Only the bristle-cone pine of North America lives longer. Sassafras is an understorey evergreen tree and grows extremely well throughout the cool temperate rainforests of Tasmania. Sassafras trees are very dominant, the largest examples of the Sassafras species can be found in gullies in moist well drained soils and can grow to a height of 45 metres and a meter in diameter.The Sassafras tree has a lifespan of around two hundred years. The timber has many varied and beautiful colours. Blackheart Sassafras timber is infected with a fungal virus in the heartwood, creating a beautiful streaking stain of black, brown and greenish colouring. The colours of Sassafras make it a popular timber. A soft light and strong timber that works easily, Sassafras is used extensively for furniture manufacturing, cabinet making, veneers, panelling, woodturning and carving. The heartwood (darker tone wood) is harder to work than paler outside. Not a true Beech and grows in Victoria and Tasmania. Heartwood ranges from pale pink through to browns and deep purples. The grain is very fine and often has an amazing fiddleback figure. The Tasmanian Waratah is part of the ancient Proteaceae family of plant and is an upright shrub or small tree up to 10 metres high. The Tasmanian Waratah grows well in the moist acidic soils of the wet sclerophyll forest's, but requires good drainage to reach it's full potential. Waratah is found as a stunted shrub in the subalpine scrubland from 600 to 1200 metres. Telopea truncata, has deep green narrow leaves growing to 10cm in length. The striking flowers of the Tasmanian Waratah, appear in loose clusters of 10 to 20 individual flowers at the ends of upright stems, the flowers appear between November and February and are usually a bright red, although a yellow variety of Telopea truncata is growing in the Mount Wellington Ranges near Hobart. The timber of the Waratah is beautifully coloured with golden brown and orange hues. Used mainly as a craftwood Waratah turns well and is ideal for wood turning however rarely used in lure making but spectacular when it is. There are a number of traditional timbers that are used in lure making that are endemic to the Great Dividing Range stretching from the sub alpine mountains of NSW and Victoria, all the way to far north Queensland. Australian lure makers have been utilising white beech and red cedar as preferred timbers for many years. There are so many more to explore when available. A tall deciduous tree up to 40 m in height and 1-2 m in stem diameter. Mature trees can be 3 m in diameter. Red cedar is found in rainforests along the east coast of Australia. The main areas of distribution are between Ulladulla, in New South Wales, and Gympie, in Queensland. Farther north it occurs on the Eungella Range west of Mackay and the Atherton Tableland. Outside Australia it extends to Papua New Guinea and the Philippines. The timber will dress and mould to a smooth finish with sharp blades and cutters. When turned, some surface woolliness can occur. Sawdust can irritate nose and throat. A bouyant timber that is excellent for making hardwearing lures. Queensland Maple - Flindersia brayleyana. Family: Rutaceae. A medium-sized tree attaining a height of 40 m and 2.5 m in stem diameter. The trunk is usually well formed, circular in cross-section and not buttressed. Restricted to northern Queensland rainforests between Townsville and the Windsor Tableland. A magnificent timber with spectacular grain capable of medulas and fiddleback when worked and cut properly. (Above) is an Esoteric lure made from QLD Maple which shows the fiddleback that is achievable with a good piece of timber and some skill. A magnificent Australian native timber. Australian White Beech - Gmelina fasciculiflora, G. leichhardtii, G. dalrympleana. A large tree attaining a height of 40 m and a stem diameter of 1.5 m. Found in rainforests along the east coast of Australia: G. fasciculiflora and G. dalrympleana - Rockingham Bay, Innisfail area, through to Cape York and Torres Strait Islands. G. leichhardtii - Clyde River, New South Wales to Fraser Island, Queensland. Also further north on the Eungella Range and Mt Elliot (south of Townsville). 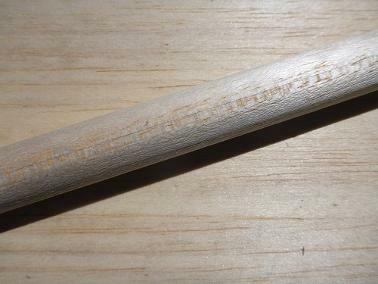 Well aged white beech is a premium timber for lure carving. Tight grained with a medium density it sands well. The Proteaceae family to which proteas belong is an ancient one. Its ancestors grew in Gondwana, 300 million years ago. Proteaceae is divided into two subfamilies: the Proteoideae, best represented in southern Africa, and the Grevilleoideae, concentrated in Australia and South America and the other smaller segments of Gondwana that are now part of eastern Asia. Africa shares only one genus with Madagascar, whereas South America and Australia share many common genera — this indicates they separated from Africa before they separated from each other. Most of these plants are under utlised and overlooked as a suitable timber for lure making however if you are into 'nudies' or purely clear coated timber lures, the Proteaceae family of plants is worth a look. A closely related desert species called Silver Oak or Beefwood (Grevillea parallela) doesn’t grow as large but has a darker timber that is prized by wood turners. The commonly named Northern Silky Oak (Cardwellia sublimis) which is found in far north Queensland is from the same family (Proteaceae) but is not a Grevillea. This species was once widely milled from native forest and can be seen in window frames, doors, roof battons and lining in old Queensland timber houses. It has high silica content and is reasonably easy to work and certainly worth the effort. It is quite dense but still bouyant so ideal for smaller lures that require a bit more weight. Becoming more popular as a lure making timber in recent years. 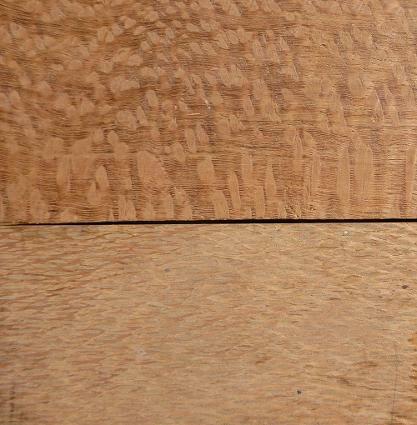 (Right) An example of silky oak showing the side and top view. A medium density timber ideal for lure making and readily available as a recycled timber. She-Oak Allocasuarina verticillata syn. Casuarina stricta. The She Oak, also know as Drooping She Oak, has very distinctive foliage with a wire like appearance, resembling the foliage of Native Cherry (Exocarpos cupressiformis). Allocasuarina verticillata, is widespread in dry areas of eastern Tasmania. A small spreading tree growing between 4 and 11 metres, it is drought, frost and wind resistant. The She Oak, is commonly grown in gardens as an ornamental tree or a windbreak. It is also an excellent fuel burning wood, generating intense heat with little smoke.The timber of the She Oak, is dense and very hard with a beautiful grain, the timber has a variety of colours from a pale yellow through to reddish brown tones. The best timber is at the base of the tree, good figure and bright coloured wood is found in this section. 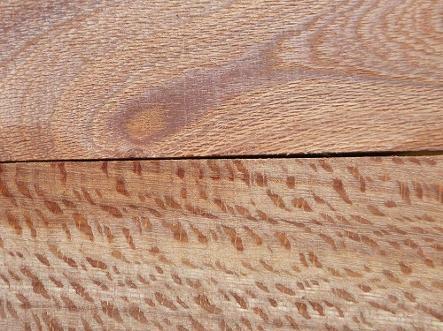 Growing to small diameters She Oak is mainly a craftwood, it is also used for veneer. Northern Silky Oak - Cardwellia sublimis:. Family: Proteaceae. A large tree commonly attaining 40 m in height and 2 m in stem diameter. The trunk, usually without buttresses, is normally straight. The bark is slightly flaky to non-descript. The outer blaze is commonly biscuit-brown in colour. This species has a limited distribution in North Queensland between Mt Spec, near Townsville, and Bloomfield. The Banksia species is found throughout Australia, and named after Sir Joseph Banks. One of the first European scientists to visit Australia, Banks, arrived with Captain Cook in 1770. Banks, was acclaimed for his botanical work on plant species classification. Banksia trees are characterised by leathery or spiky leaves and large candle-like spikes of flowers where the seed pod or 'cone' is retained on the plant for some time. Several of the Banksia species most notably ‘Bull Banksia’ (Banksia grandis) produce a very attractive timber with prominent rays in various shades of red. Silver Banksia - Banksia marginata: The Banksia species is found throughout Australia, and named after Sir Joseph Banks. One of the first European scientists to visit Australia, Banks, arrived with Captain Cook in 1770. Banks, was acclaimed for his botanical work on plant species classification. The Banksia marginata is found growing throughout Tasmania, a compact shrub or small tree of 12 metres. The Silver Banksia prefers drier regions and is resistant to salt winds. It produces striking cylindrical pale yellow flowers up to 10 cm. from February to July. 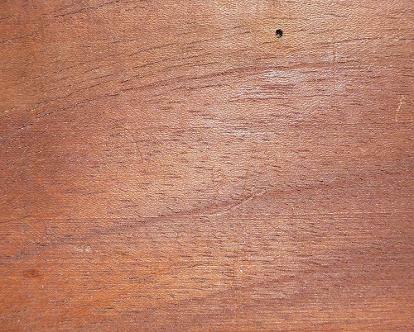 Banksia wood is soft and light with red colouring and small dark flecks, making a most beautiful grain. Generally thought unsuitable for commercial timber due to it's inadequate size. Banksia marginata is used highly by wood turners. The seed pods of the Banksia species are also turned, producing outstanding items. A beautifully coloured soft and light wood, Banksia is excellent for wood turning. Commonly known as old man banksia, saw banksia, saw-tooth banksia and red honeysuckle, is a species of woody shrub or tree of the genus Banksia in the Proteaceae family. (Right) Typical Proteaceae grain of the Banksia spp - a spectacular timber for 'nudies'. There is a big variation in densities of different Banksia spp with some being light whilke other species are dense and heavy. Native to Queensland, New South Wales and Victoria. A tree that can grow to 15 m tall but generally of less than 3 m wide and to 6 m tall to exposed coastal habitats. With a single stout trunk and rough grey bark, the species is often twisted and gnarled. Although other macadamia species are found in the Proteaceae family, only M. integrifolia also called “smooth shell macadamia” and M. tetraphylla known as “rough shell macadamia” along with interspecific hybrids of these species are economically important members of the family because of their edible kernels. Trees are evergreen and can attain heights of 19 m with canopy widths of 13 m. Native habitats for M. integrifolia are along eastern Queensland, while M. tetraphylla is found naturally further south from southern Queensland into the northeast coastal area of New South Wales, extending over a 120 km range. Both species overlap in southern Queensland where interspecific hybrids grow naturally. The timber is not generally exploited for lure making and is quite hard but worth the effort. Waratah (Telopea) is an endemic Australian genus of five species of large shrubs or small trees, native to the southeastern parts of Australia (New South Wales, Victoria and Tasmania). The most well-known species in this genus is Telopea speciosissima, which has bright red flowers and is the NSW state emblem. The waratah is another member of the plant family Proteaceae. She-Oak - Allocasuarina verticillata previously Casuarina stricta. The She Oak, also know as Drooping She Oak, has very distinctive foliage with a wire like appearance, resembling the foliage of Native Cherry (Exocarpos cupressiformis). Allocasuarina verticillata, is widespread in dry areas of eastern Tasmania. A small spreading tree growing between 4 and 11 metres, it is drought, frost and wind resistant. The She Oak, is commonly grown in gardens as an ornamental tree or a windbreak. The timber of the She Oak, is dense and very hard with a beautiful grain, the timber has a variety of colours from a pale yellow through to reddish brown tones. The best timber is at the base of the tree, good figure and bright coloured wood is found in this section. Growing to small diameters She Oak is mainly a craftwood, it is also used for veneer. Rock oak is a small to medium-sized tree that occurs associated with granite soils from east of Geraldton through the Wheatbelt and Great Southern regions to Esperance. The heartwood is a deep red, and the timber has the distinctive rays that are best displayed by quatersawing. 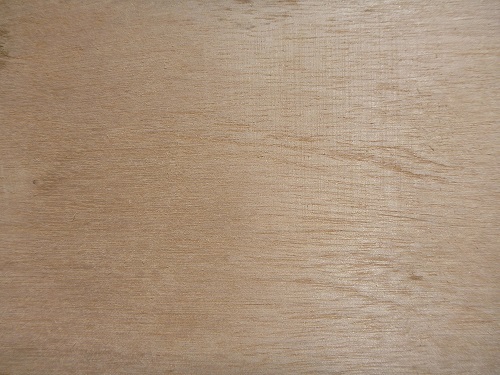 Sapwood is pale white. Colour dark red to brown with yellow sapwood and prominent medullary rays. 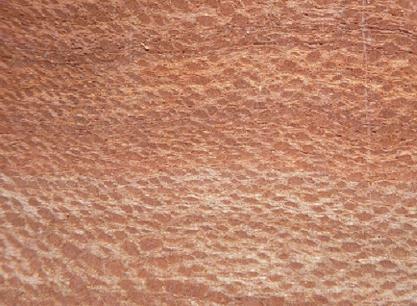 Lace Sheoak displays very tight grain where the medullary rays twist, turn and interconnect, not dissimilar to a burl effect in other species. Exclusive to WA in very limited quantities. A tropical tree of Africa. The is known as abachi. The wood is used by guitar makers. It is used in the manufacture of picture frames and mouldings as used by bespoke picture framers.The wood is heavily exploited in its natural habitat, a harvest that is unsustainable in some areas. It is a premium timber for lure carving as the grain is fine, the timber is light and easily ballasted and it sands easily. A hardwood native to China, Japan and Sth East Asia but now found in coastal NSW. 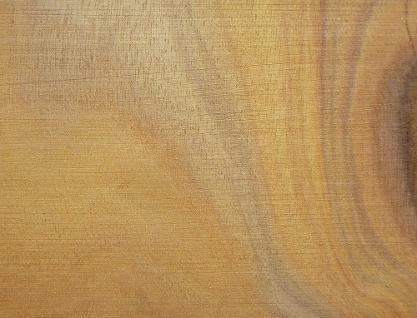 The sapwood has many colours ranging from almost white to dark browns and reds. Grain is very interlocked. A large hardwood from Malaysia and Indonesia. Heartwood is very pale, cream in colour. The grain is generally straight. Latex canals are common. There are a number of interesting man made materials that are useful to the luremaker. Excluding injection moulding and the many plastics available there are still . . .